It’s Bonnie’s time to rise and shine..
New Pupstar Bonnie has settled in fabulously with her puppy raisers. Being just a pup, everything is new and she loves to explore. 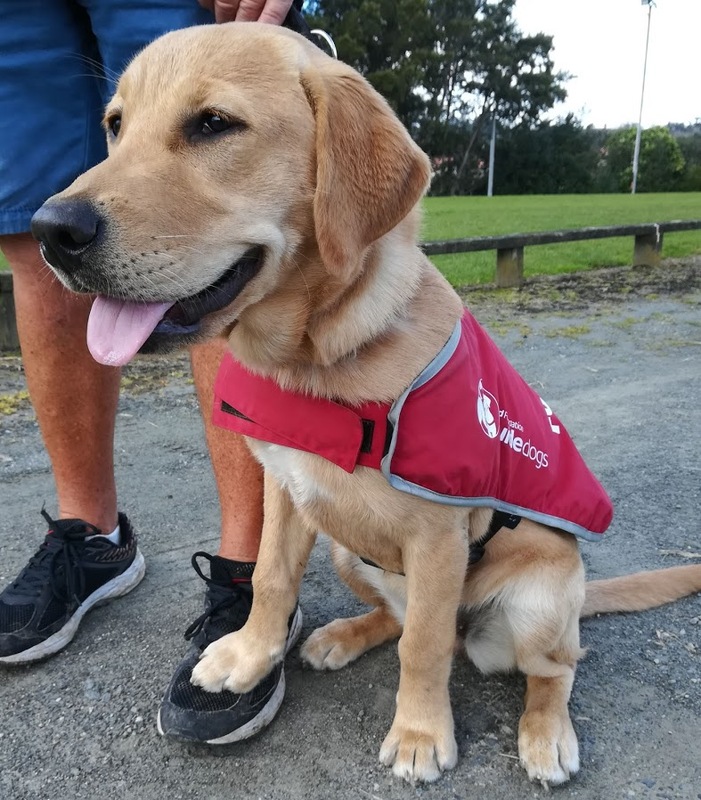 Bonnie loves stepping out in her red training coat, exploring new places and meeting people. She’s visiting local malls, parks, cafes and everywhere in between. But, sometimes it can be really hard to walk past all the lovely people and ignore the yummy food smells. 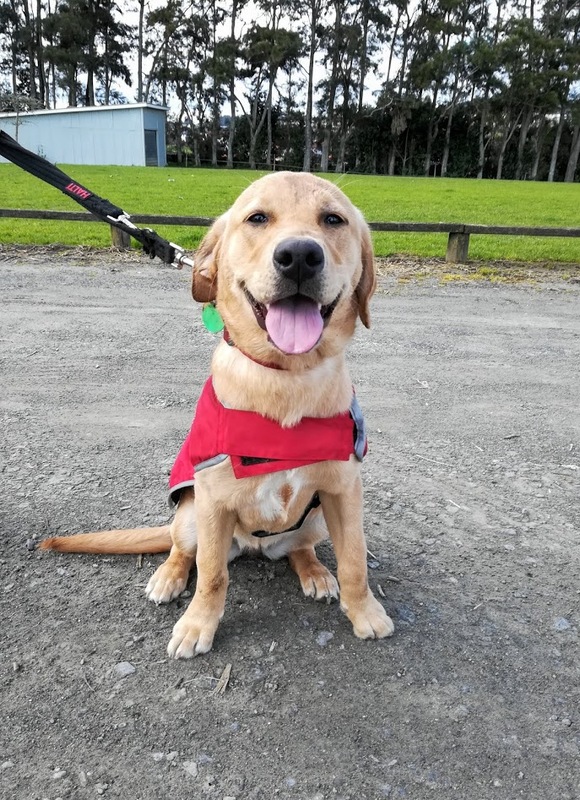 Bonnie recently did some training with the team at the Blind Foundation Guide Dog Centre. She learnt how to come back as soon as a whistle is blown. Bonnie was really good most of the time as she knew there might be a yummy treat when she did the right thing. Bonnie is a very special puppy and we’re so proud of her progress. 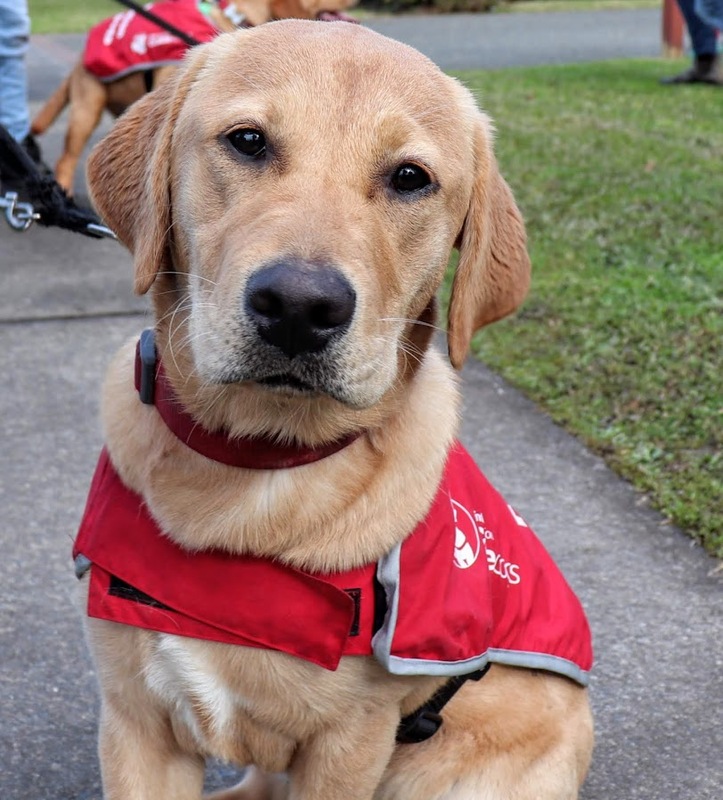 Just as we’re so proud of you, our supporters, who provide confidence, independence and companionship every day to New Zealanders who are blind or have low vision.